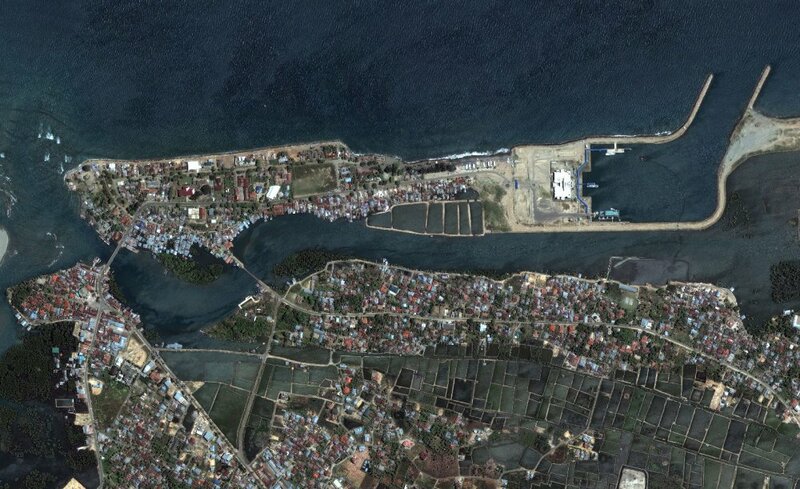 Banda Aceh lies in ruins after being hit by the tsunami of unprecedented proportions on 26 December 2004. A quarter of this Indonesian city’s population of 400,000 died in the tragedy. Organizing the relief effort is proving difficult and the threat of epidemics is now looming. 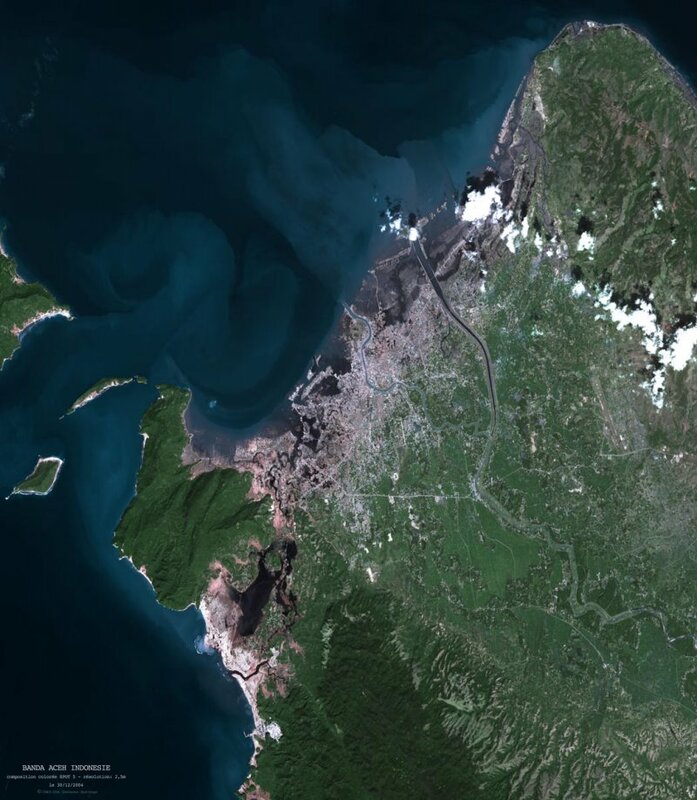 Space agencies have tasked their Earth observation satellites under the to aid relief efforts. On 26 December 2004, the sprang into action to acquire imagery for French disaster relief teams. CNES is coordinating SPOT satellite tasking and generation of satellite data products with the SERTIT* regional image processing and remote sensing department in Strasbourg. 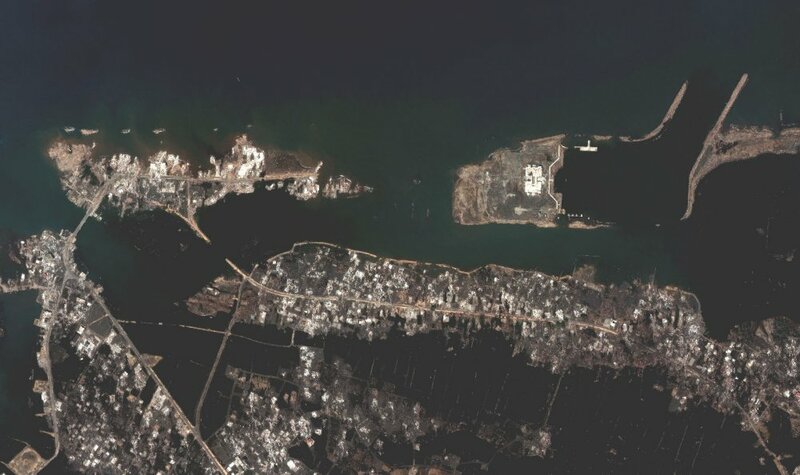 Such satellite imagery is a vital tool for emergency response teams and for keeping track of reconstruction work. The images highlight affected areas, making it easier to quickly target Red Cross helicopters to provide first aid and food. The images clearly show which areas escaped the tsunami, where camps can be set up for homeless survivors. Satellite data will also be used in the future to draw up a new city zoning plan. Violine aeras correspond to the zones which have been devastated by tsunami.